"Auto Source Weekly.com was simple to use and made it so easy for me to find my new car. I was able to use my phone to scan each car and get all the information and photos I needed to make the right choice. Winning the Gate gas card made the experience even better. 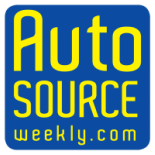 I recommend Auto Source Weekly to all my friends."